Are your prints too dark, or does your published work appear darker (or lighter) than expected? If so, you might benefit from making simple adjustments to your editing environment. Where do Adobe Creative Cloud desktop and mobile applications save your work? Does it surprise you to know that there are at least five possible answers to that question? This can cause a lot of confusion, especially for beginners. In my article on CreativePro.com, I take a closer look at the different forms of Creative Cloud storage, and the different ways that desktop and mobile applications use them. Creative Cloud Storage: Where Does It Go? macOS 10.14 Mojave: Will Adobe software work? With the release of macOS 10.14 Mojave, you’re probably wondering whether your Adobe software will work in this update to the Mac operating system. With every macOS upgrade, full information about compatibility is typically not available on the day the new system is released or even shortly after. More information emerges over time, as Apple, Adobe, and other software developers test with the final public release and produce updates with fixes. I’ll update this article as new information comes out. Artists and designers are taught the conventional wisdom that design for digital displays should be in RGB color, and design for print should be in CMYK color. While that’s generally true, there’s a gray area that causes some confusion for some, especially beginners. I explain the difference between these workflows in my article on CreativePro.com. What’s the difference between RGB and CMYK printing? I co-authored an article, From InDesign to Photoshop, with InDesign Magazine editor David Blatner for the March 2018 issue of InDesign Magazine. David and I talk about ways to accomplish a workflow that’s the reverse of what most of us usually do: Instead of moving Photoshop images into an InDesign layout, we discuss how to efficiently bring an InDesign layout into a Photoshop document. Learning Photoshop for the first time? 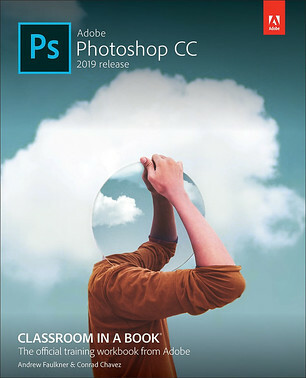 Adobe Photoshop CC Classroom in a Book (2019 release), by Conrad Chavez and Andrew Faulkner, leads you step-by-step through 15 project-based lessons. Correct, enhance, and distort digital images, create image composites, and prepare images for print and the web. Order now and save 35%! Want to understand the basics of color management in Photoshop, Lightroom, and other Adobe Creative Cloud software? 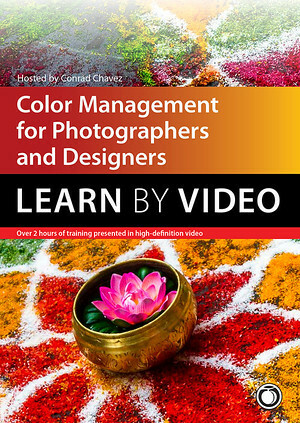 Watch my video Color Management for Photographers and Designers, streaming or on DVD. 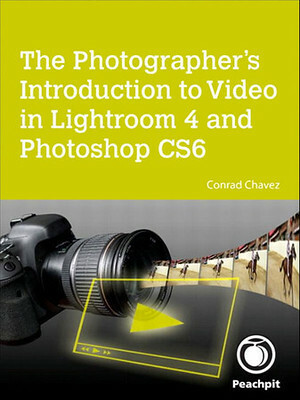 See a complete list of books, videos, and other training materials I create for Photoshop, Lightroom, and Adobe Creative Cloud on my website, conradchavez.com. Are you a photographer wanting to edit video in the software you already have? Read my ebook about video editing in Lightroom and Photoshop. Can you buy Adobe software without a subscription? macOS 10.13 High Sierra: Will Adobe software work? Using an older version of Photoshop? 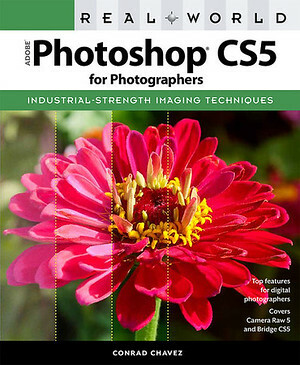 You can still get my guide to Photoshop CS5. Includes image correction and color management sections that helped make the Real World Photoshop series a classic.